The list of active Seats in your account, together with their current pricing, can be found in Settings → Billing. You can access it by clicking "see details" in the Payment section, next to the date and estimated amount of your next payment. 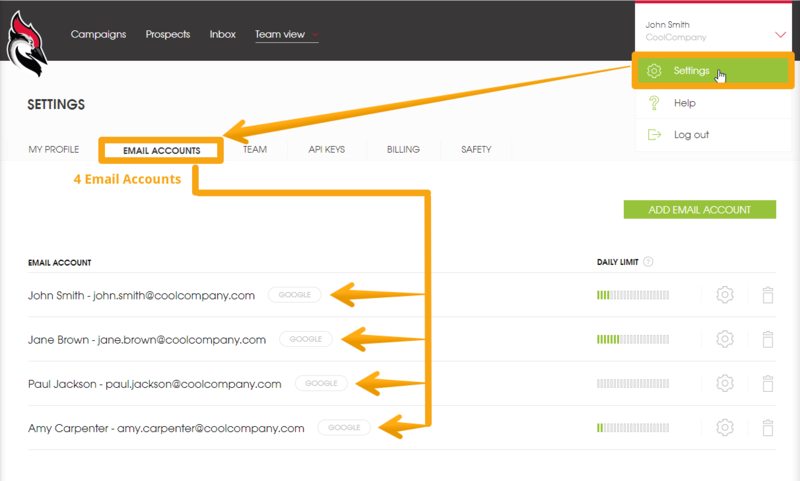 When adding a new User, you can add another Email Account free of charge. 1 User and 1 Email Account, added together, comprise 1 Seat. 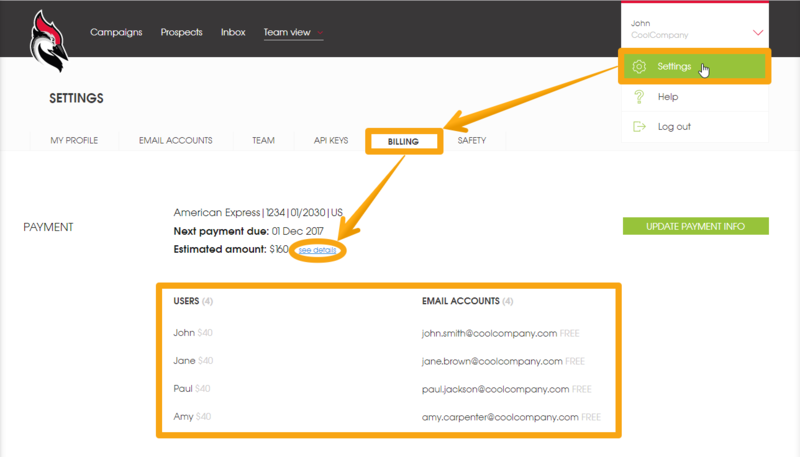 Adding one Email Account is included in the base fee. You can also remove it, and connect a different one at any time. In either case, you will not be charged extra. In the screenshots on this page you can see 4 Users and 4 Email Accounts. That's 4 Seats total. With the Start Up pricing plan, the fee for these will be 4 × $40 = $160. To add a new User, click the "New user" button. To remove a User, click them in the list, and then click the red ×. Users are charged since the day you add them, and until you remove them from your account. To add a new Email Account, click the green "Add Email Account" button. To remove an Email Account, click the trash bin icon on the right of that account. Only the Email Accounts that have been sending emails are charged. Additional Email Accounts might be connected to receive emails only, and these will not be billed.